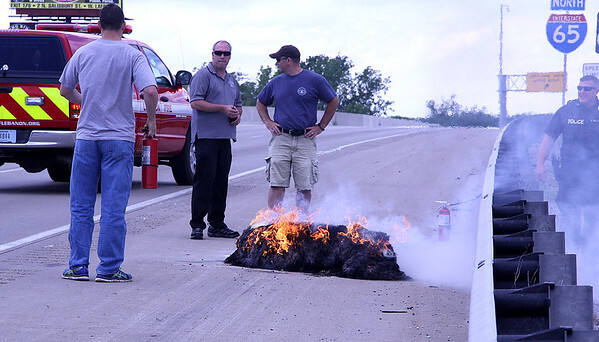 Small Fire: Emergency responders stand around a burning bale of hay that had caught fire after falling from a truck near the 140.6 mile marker of I-65 north. Lebanon Fire Department's Engine 11 responded to the scene, and doused the flames quickly. Traffic was able to move freely very soon after the incident.